The ancient aliens - What happened to the Mayan people? Will we ever know what happened to the Mayan people? A civilisation vanished – or gone home? Around the year 900BC, something new had appeared in the jungles and wilderness of what is now Guatemala and southern Mexico. Civilisation. For about the next 2,000 years that civilisation flourished. The Maya built cities, invested in farming and in trade, and created a calendar. The population soared, with some estimates suggesting that there were, at one time, as many as 22 million Mayans. There were farmers, merchants, performers, students, artists, musicians… And then, somewhere between it seemed as if the whole Mayan civilisation simply vanished. Mayan cities were abandoned, the people’s traditions forgotten and their languages lost forever. What made them leave? And where did they go? Some experts think the Maya were victims of a natural disaster – perhaps a massive earthquake or a volcanic eruption. But the cities left behind by the Maya were intact. None of the temples or stone buildings had any mark of damage. Other historians blame drought and famine. The Maya were good farmers but, as their population grew, it became harder to feed everyone. And so, the theory goes, they left their cities behind in search of food. 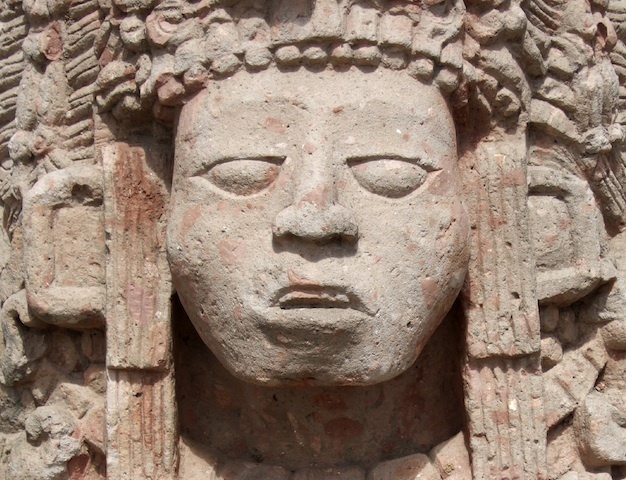 Other research suggests that the Maya destroyed themselves – perhaps through civil war. But there are no records of such a conflict in the records they left behind. 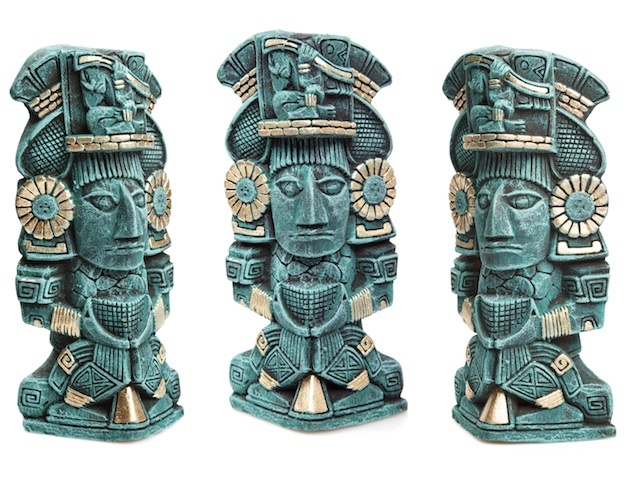 In 2012, the Mexican government released some never-seen-before Mayan artefacts – statues, masks, plaques and documents found in the inner spaces of a temple in Mexico. They claimed, rather startlingly, that the Maya had apparently had contact with extraterrestrials. ‘We believe for certain that aliens worked with the Mayans,’ said Luis Augusto Garcia Rosado, the minister of tourism for the Mexican state of Campeche. Was it possible that the Maya were themselves were space travellers and that, when they disappeared, they’d quite simply gone back to their home planet? Throughout Mayan history, its rulers often claimed to be descended from the stars and the planets. One such king was K’inich Janaab’Pakal, of Palenque. He came to the throne when he was 12, and ruled for the next 68 years until his death at the age of 80. But even more surprising is the ruler’s tomb. When K’inich Janaab’Pakal was buried, a unique design was carved into the lid of his sarcophagus (shown above). It appears to show the king sitting in a type of cockpit. Could that be an oxygen mask on his face, levers in his hands and pedals at his feet? Outside the cockpit is a flame shooting from an exhaust? Was this very detailed illustration meant to depict the king returning to the ‘mother planet’? What’s perhaps most startling is that this is a tomb that was carved over a thousand years ago. 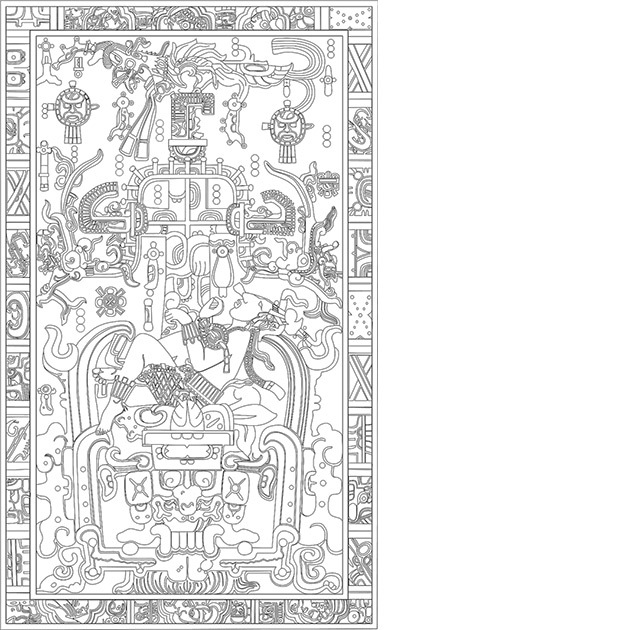 How could Mayan people have created images of space travel if they hadn’t seen it? Others believe that the Mayans’ huge temples, aligned with solar and lunar activity, were in fact some sort of ancient landing pads for spaceships, or a way of communicating with beings on other planets. For believers, this explains how the Mayans had such advanced knowledge for their time. Was extra terrestrial intelligence the reason for their advanced farming techniques? Astrophysicist Carl Sagan argues that while many legends, artefacts, and purported out-of-place artefacts were cited in support of this ancient astronaut idea, ‘very few require more than a passing mention’ and can easily be explained more conventionally. 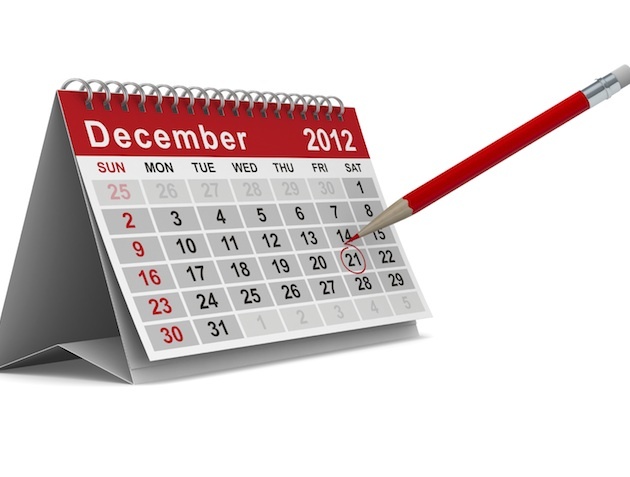 Using the Mayan calendar, doomsday theorists predicted the end of the world was scheduled for 21 December 2012. Those who believed that the calendar gave the date of the end of the world had theories as to how we would meet our doom – such as a mysterious planet on a collision course with Earth, or a reverse in the Earth’s rotation. Some gathered at ancient Mayan sites to await the end, others stocked up on water and canned goods, hoping to survive.